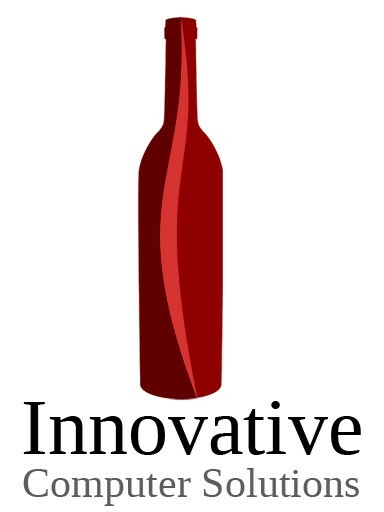 Branded e-commerce and delivery solutions for liquor retailers. Online shopping, and in particular mobile ordering has seen explosive growth across retail sectors. Consumers expect to browse and shop online and merchants benefit with increased revenue, improved customer loyalty, and more efficient operations. Today, large companies are expanding into liquor markets across the US, changing the rules of play with deep pockets, new business models, and a technology-centric approach. 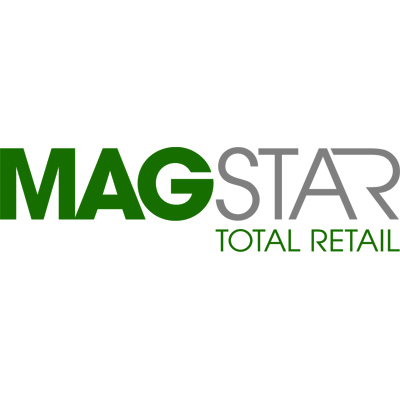 Now more than ever, gaining a competitive edge is critical for liquor retailers. With over 2 million app downloads under our belt, Drync has been the leader in mobile commerce for beverage alcohol since 2008. Quickly launch a proven mobile app solution that integrates seamlessly with your existing infrastructure and offers your customers a best-in-class, branded mobile ordering experience. We’ve done the heavy lifting, so that you don’t have to. Market your brands with a direct call to action and rich data that provides measurable insights into campaigns and product performance. 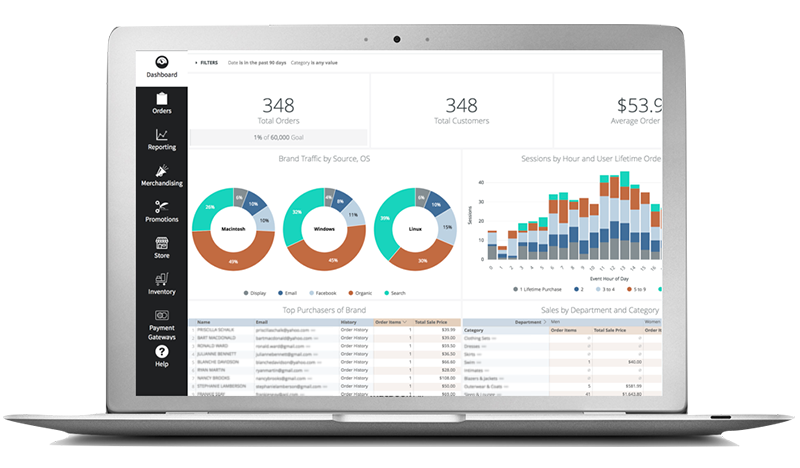 Leverage real-time data to better understand product performance and consumer demand, to place products where they will sell. Drync builds you a best-in-breed white label native mobile commerce app proven to convert users to buyers 8x better than desktop websites and increase top-line revenue by 4%. Leveraging Apple Pay and Google Pay, as well as payment storage for multiple cards makes purchasing fast, easy and secure. Drync offers a highly-customizable platform to fit your business. 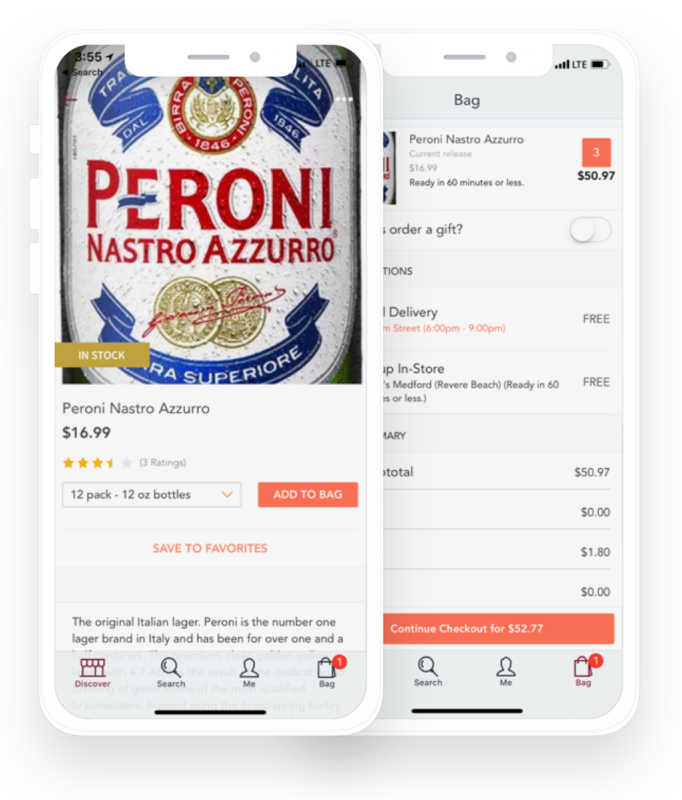 Apps are branded and configured to each store with rich features to support multiple store locations, local delivery, ship-to-store, flash sales and shipping, we build the best user experience for what you want to offer. Robust web-based management tools make promotions quick and easy. Create and promote single items, themed collections, tastings and events, discounts and promo codes across one or more locations in seconds. Increase engagement with push notifications and deep links for email and social media campaigns that drive consumers to promoted items in your app. 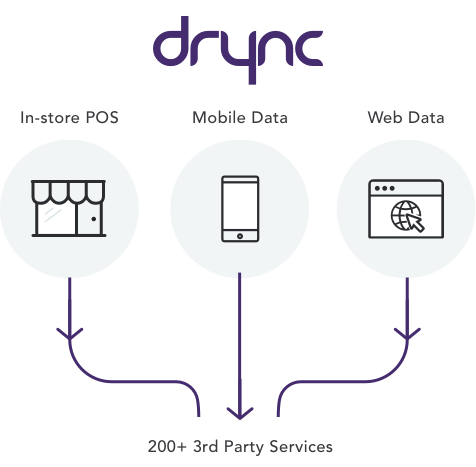 Drync's enterprise-grade software provides comprehensive solutions for retailers with multiple locations. 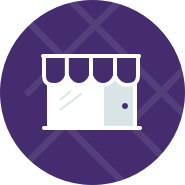 Configured to support your business infrastructure, consumers can shop inventory at their local location, search for products across all locations and order for delivery or ship-to-store. Comprehensive suite of tools that supports both on-demand and scheduled deliveries, multiple “polygon “delivery zones with different pricing tiers and delivery minimums, mobile-friendly order management, and driver tip tracking and reports. Drync employs advanced digital fraud protection that analyzes transactions to stop fraud and increase revenue for online businesses, merchants, acquiring banks, and payment service providers. Mobile-friendly web portal allows for seamless order management and processing. Multi-tiered admin access for employees at the store and corporate-level keeps action items clear and easy to manage. We have integrated with over 100 POS and ERP systems to easily and accurately reflect inventory in your app and, when available through the POS providers' API, instantly send mobile order information into your POS system for seamless inventory management. With Drync, not only do you own the customer and the data, we create customized data analytics and insights built for your need on orders, consumer behavoir and depletions. Interactive dashboards provide valuable and actionable insights into you business and flexible order reports are configured to the needs of various departments within your organization. With the flip of a switch, Drync can integrate your mobile business with 200+ tools leveraging a partnership with Segment.io. This integration, allows you to Capture data from every customer touch point. and send your customer data to the tools where it can be used most effectively. 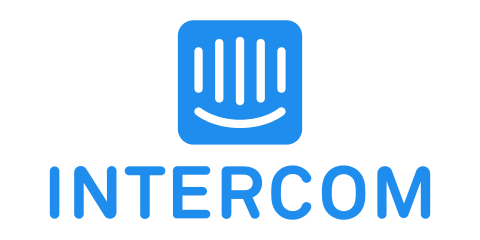 Easily turn on new tools for advertising, email, push notifications, analytics, help desks, live chat, webhooks, security and fraud, and more. We integrate with the tools you currently use and give you quick and easy access to new services that will help your business. Not only does Drync give you access to your data, but the platform makes it easy for you to use it to your advantage. The Audience Segmentation module allows you to ask and answer questions about your customers' behavior and preferences, create and save those “segments”, and act upon the results with targeted marketing campaigns. For example, in a few clicks you could send a Jim Beam promotion via push to all your Jack Daniels buyers, or segment your Burgundy lovers and notify them of an in-store tasting. With connections to dominant digital advertising platforms, Drync lets you acquire new customers, measure your marketing spend, and scale your business. 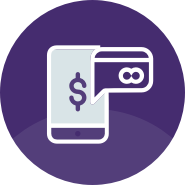 Our pricing is designed to make our top-line mobile solution accessible to businesses of all sizes and keep our team and yours incentivized to leverage mobile to grow your business. Here is our published pricing for independent retailers alongside feature set for each level. Contact us for enterprise pricing. 1. A Drync transaction fee applies to all orders. See Merchant agreement for details. 2. 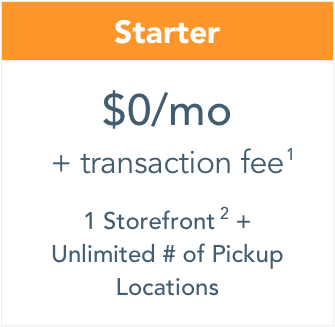 Storefronts are representations of physical, or “virtual” stores within the app with unlimited “Ship-to-Store” pick-up locations supported at every level. Enterprise, Franchise and Control States contact sales@drync.com. Thank you, a Drync Sales Rep will be in touch shortly.